I took a tour of the Dutch National Opera & Ballet while I was in Amsterdam. They offer free lunchtime concerts on Tuesdays (and if you’re going to be in Amsterdam on the 27th [MARK], I highly recommend it—there’s a freaking theramin and harp duo performing, how lovely and peculiar that will be!). After the concert, they offer a tour of the building. It was somewhere between 5 and 10 euros for a really comprehensive behind-the-scenes look at everything that goes into putting on their productions. Our two group was three people large. Just me and two Australians. It was great! 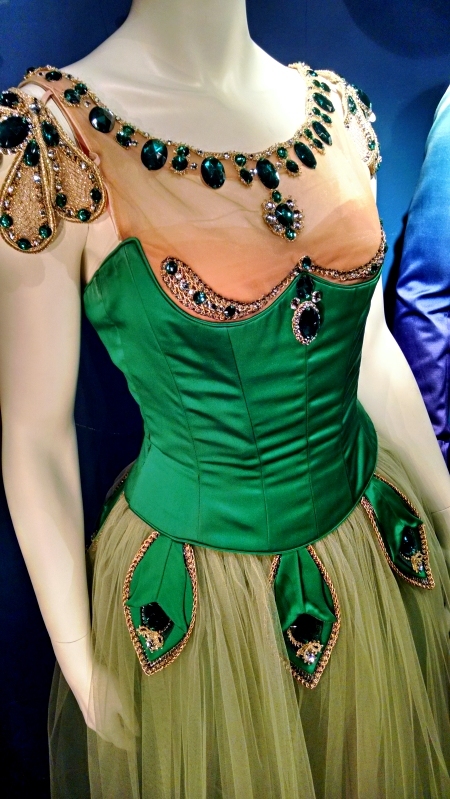 We saw them setting up the stage for the premiere of Il Trovatore, saw the opera’s current set for Der Rosenkavalier (which was ending soon) (and since they share the stage with the ballet, the various sets get shifted around constantly and therefore have to be pretty mobile), peeped on a ballet rehearsal, and got to visit their costume departments.